Houses & Homes VA: What would happen to the real estate industry during a federal shutdown? What would happen to the real estate industry during a federal shutdown? 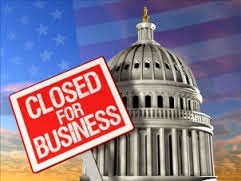 Do you remember the big scare last year regarding the shutdown of the federal government for a period of time? I’m sure that was something that none of us will soon forget. No one knew exactly what to expect including the experts. Such a major event would no doubt affect the economy in many ways and naturally the longer it lasted the worse it would be. The real estate industry is and always has been a major indicator as to the condition of our economy and I wondered just how much an extended shutdown would affect it. The housing industry depends on the federal government in many ways and there certainly would be consequences. According to a general consensus of different lenders the following is what we could expect if this situation were to occur in the future. First of all the IRS would not be completing any of the lender verification forms (4506T) and even though requests for tax transcripts could still be requested they would not be processed until the shutdown was over. HUD would also be affected if the shutdown lasted for a considerable period of time but if the situation ended quickly there would probably not be a problem. The exact amount of time cannot be accurately determined. RD loans with clear commitment would still be able to close but according to the USDA there would be no guarantees or commitments possible during a federal shutdown. It’s all about timing in this case. The good news is that FHA loans would not be impacted in any way and new loans would still be available. VA loans as well as Fannie Mae and Freddie Mac are also expected to operate normally and it is further predicted by experts that VHDA would continue uninterrupted. As you can see, a shutdown of the federal government would not bring the real estate industry to a grinding halt but one thing that is not mentioned by the experts is the consumer confidence factor. Would you be interested in buying a new home during such an occurrence? While some people would surely continue in their quest I think it’s fair to say that many would not make such a big decision as buying a new home until the crisis was over. Let’s hope that we never have to find out.